Leslie Lee Sanders read 10 books of her goal of 10! Leslie Lee Sanders read 13 books of her goal of 10! To ask Leslie Lee Sanders questions, please sign up. Leslie Lee Sanders Currently, I am writing psychological thrillers (and some horror) under L.L. Sanders and have one more installment of the MM, dystopian Refuge Inc.…moreCurrently, I am writing psychological thrillers (and some horror) under L.L. Sanders and have one more installment of the MM, dystopian Refuge Inc. series planned for release soon. My novelette, Passing the Torch, by L.L. Sanders, will be available March 3rd 2015. The tagline: Deep in the Arizona desert is a girl and her dad, burying secrets—and bodies. 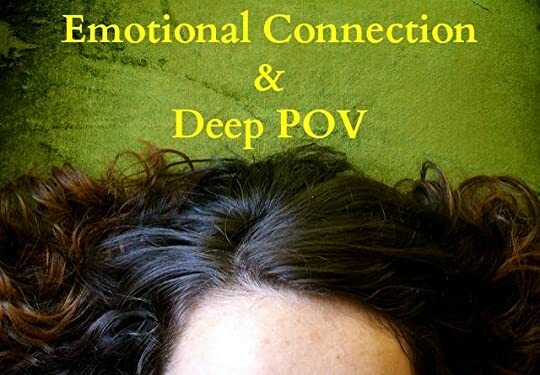 Deep point of view, or Deep POV for short, is a technique used to get inside the mind of a character and make a deep emotional connection with readers. Today we’re going to discuss writing in deep POV. I’m pleased to announce the release of Darkness Eternal, the fifth installment of the Refuge Inc. series. I began writing Darkness Eternal in early 2014. It’s taken two years to come to fruition because I like to think the timing needed to be right. It was necessary for me to further develop my storytelling and writing skills during those two years in order to best represent Connor and Vince’s story. Finally, I'm pleased. You will be too. 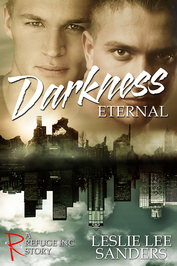 In Darkness Eternal—a standalone in the GLBT, post-apocalyptic, dystopian Refuge Inc. series—surviving is unlike anything anyone has ever encountered in regard to Refuge Inc. Connor and Vince discovers that the hard way, while exposing life-changing secrets and establishing a strong male-male connection fans grown to love about the series. So dig in and brace yourself as we survive the post-apocalypse for the fifth time. We’d love your help. Let us know what’s wrong with this preview of Darkness Eternal by Leslie Lee Sanders. We’d love your help. Let us know what’s wrong with this preview of With and Without Class by David Wallace Fleming. We’d love your help. Let us know what’s wrong with this preview of The Warded Man by Peter V. Brett. We’d love your help. Let us know what’s wrong with this preview of Threnody by Kirk Withrow. Get to know the author of the MM, post-apocalyptic, dystopian REFUGE INC. series, & her thoughts and future plans for the books. Any questions? Indie e-authors, e-readers, e-recommendations and e-reviewers. Carey wrote: "Thanks for the add"
Kimberly wrote: "Thanks for adding me as a friend Leslie!" Thanks for adding me as a friend Leslie! Barry wrote: "Thanks for adding my book Leslie. If you haven't already downloaded it, it's free for the next few days on all Amazon sites. Hope you enjoy it." Leslie, thank you for the friendship.